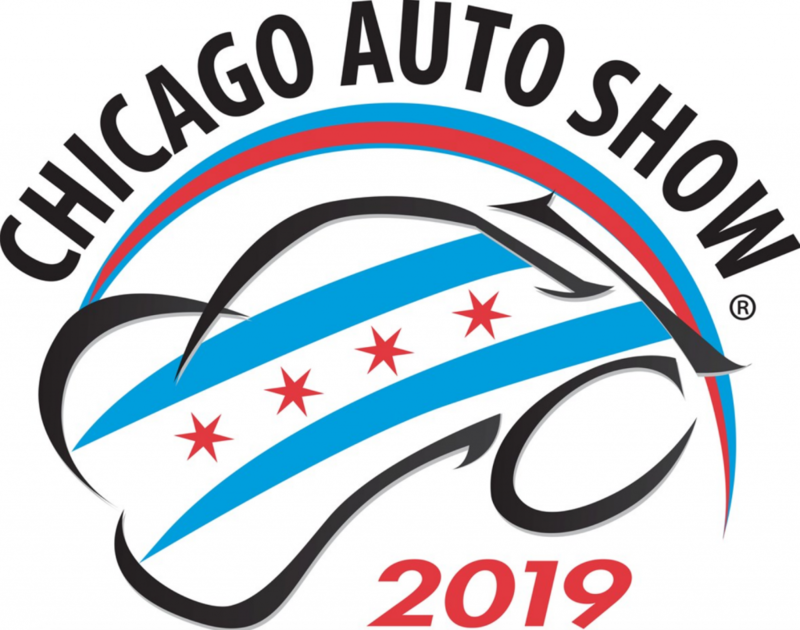 Two famous American makes founded in 1903 have once again collaborated on a special pickup truck that was introduced at the 2019 Chicago Auto Show. Ford F-150 Harley-Davidson models were sold in various forms from 2000 to 2012. 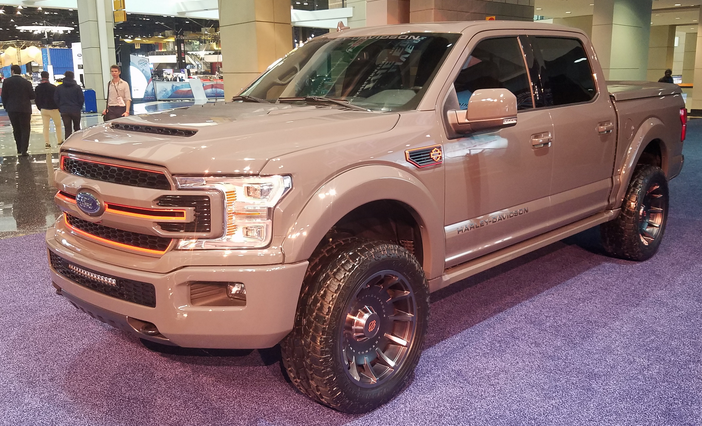 The newest edition is built by Tuscany Motor Company, which has assembled several other “special edition” trucks based on the Ford F-Series. This newest F-150 Harley-Davidson rides on special wheels fashioned after those worn by the current Harley-Davidson Fat Boy motorcycle, with an exhaust resembling — in both look and sound — that of Harley’s special-edition CVO bikes. It also features a raised suspension, lots of orange striping (black and orange being Harley’s signature colors), Harley-Davidson badges (including a numbered one on the console cover), unique instrumentation, and functional ram-air hood scoop and side-fender vents. Tuscany says that 70 special parts are used in the conversion process. The 2019 Ford F-150 Harley-Davidson is offered in three colors — black, Lead Foot Grey, and pearl white — in rear- and all-wheel drive form. It is on sale now at Ford dealerships starting at about $85,000. While prices reflect a substantial premium over comparably equipped F-150s, what makes these trucks special might well be worth the cost to enthusiasts of either brand. Whether there’s a “collectibility” aspect is tough to predict, but to many, rarity itself has its value. And if nothing else, firing one up at the reveal showed that these things sound really great …. Written by: Rick Cotta on February 8, 2019.